Elizabeth Feyzbakhsh, Administrative Law Judge, Office of Administrative Hearings, State of California (OAH), heard this matter on July 9, 2007, in Huntington Beach, California. Student was represented by Drew Massey and Marc Ellis, Attorneys at Law. Student’s parents were not present at the hearing. Karen Van Dijk, Attorney at Law, represented the Ocean View Elementary School District (OVESD). Robyn Moses represented the West Orange County Consortium of Special Education (WOCCSE). Liz Williams was present on behalf of the District. The parties have agreed to settle the matter by entering into a Stipulation for Decision by Consent. A request for due process hearing was initially filed by Student on May 9, 2007. On May 18, 2007, District requested a due process hearing regarding Student. On May 29, 2007, Student filed a motion to consolidate with OAH. On June 12, 2007, OAH granted the motion to consolidate and vacated pending hearing dates. On July 7, 2007, Student dismissed his complaint without prejudice. Student additionally filed a request for dismissal of District’s complaint. OAH denied this request. The hearing commenced. Prior to taking testimony, counsel for Student stipulated on the record that the offer from the District constituted FAPE. Counsel for Student stipulated on the record to resolution of this matter in favor of the District. Additionally, counsel for Student stipulated on the record to the resolutions set forth in the District’s due process complaint and read the resolutions into the record. No testimony was taken and it was agreed that a decision by stipulation would be issued. 2. Student is a 13-year-old boy whose parents reside within the District. Student currently qualifies for special education under the Individuals with Disabilities Education Act (IDEA) based on the eligibility criteria of learning disabled. 3. On March 12, 2007, the District timely convened the Student’s annual Individual Education Plan (IEP). At that time, the Student’s IEP team, among other things: (1) discussed the Student’s progress in his educational program the previous year at Prentice; (2) addressed Student assessments that had been conducted, identified the Student’s educational needs, and discussed how they impacted the Student’s ability to progress in the educational environment; (3) discussed and considered the Student’s proposed goals and objectives for the upcoming year, and made any necessary revisions thereto; (4) discussed an appropriate educational placement in light of his educational needs; (5) addressed any necessary modifications and accommodations to the Student’s program that might be required by the Student; (6) addressed the Parent’s concerns regarding the Student’s placement in general; and (7) ultimately made a comprehensive offer of placement to the Student for the upcoming school year. 4. More specifically, in reviewing the Student’s recent assessments as well as input from his IEP team, the District members determined that the Student continued to demonstrate delays in math (calculation and reasoning), reading (decoding, reading fluency and reading comprehension), written language (spelling and composition), processing speed, rapid naming, and cognitive efficiency. In considering these needs, the Student’s IEP team developed and proposed seven objectively measurable goals1 that appropriately reflected the Student’s present levels of performance, learning rate, and projected achievement in each of the Student’s areas of need. (2)2007-2008 School Year (through March 12, 2008): Placement at Vista View Middle School (Vista View), consisting of a total of 30, 72 minute periods of specialized academic instruction in the areas of reading/language arts and mathematics, with two periods of general education for an elective and physical education. These classes would be provided over a two week period, with a rotating block schedule. 1 The Student’s annual IEP included seven goals and objectives in the following areas: (1) reading/decoding; (2) reading comprehension; (3) reading fluency; (4) math calculation; (5) math problem solving; (6) written language/spelling; and (7) written language/comprehension. 2 In addition to the educational placement at Vista View, the Student’s March 12, 2007 IEP also contained modifications and accommodations, which the District believes were appropriate to assist Student to: (a) advance appropriately toward attaining his annual goals; (b) be involved in and make progress in the general education curriculum; (c) participate in extracurricular and nonacademic activities; and (d) be educated and participate with other individuals with exceptional needs and nondisabled pupils. 7. More specifically, the Vista View Resource staff is not only very experienced, but highly trained in a variety of research-based methodologies that directly address and remediate Student’s deficit areas. In this regard, Vista View is one of approximately four CALSTAT model sites for literacy intervention, and further offers a number of specialized programs, including the following: (1) Language! (which addresses building phonological and decoding skills); (2) Read 180 (which builds grade level vocabulary and reading comprehension); (3) Step Up to Writing (which augments instruction and improves writing skills); (4) Rewards (which addresses decoding); (5) Read Naturally (which addresses fluency); and (8) Accelerator Reading Program (which promotes independent reading, number of words read annually, builds vocabulary, and improves reading performance). Each of these programs is research-based, and specifically address many of the Student’s identified areas of need. Prentice offers none of these programmatic options, many of which the District believes may be important for Student to benefit from his educational program. 8. Finally, the Student’s proposed placement at Vista View is in a more least restrictive environment than an NPS, in that it is a public, integrated, comprehensive middle school. Therefore, in addition to the benefits Vista View can provide (as described above), it is also complies with the LRE mandates of the California Education Code and the Individuals with Disabilities Education Act (IDEA). 9. Despite the District’s efforts to address their concerns, Student’s Parents have not only failed to execute their agreement to the Student’s entire IEP, but have further expressed disagreement with the March 12, 2007 IEP in its entirety. In this regard, it is the District’s contention that it has offered Student a FAPE in the LRE, both substantively and procedurally, and has complied with the IDEA at all times through its comprehensive offer reflected in the Student’s March 12, 2007 IEP. Accordingly, given that the District has not yet achieved full consent to said IEP, it has no choice but to file the instant action, in satisfaction of its legal obligations under Education Code section 56346, and to resolve the outstanding issues without further delay. Issue 1: Did Student’s March 12, IEP offer for 2007 ESY constitute FAPE? 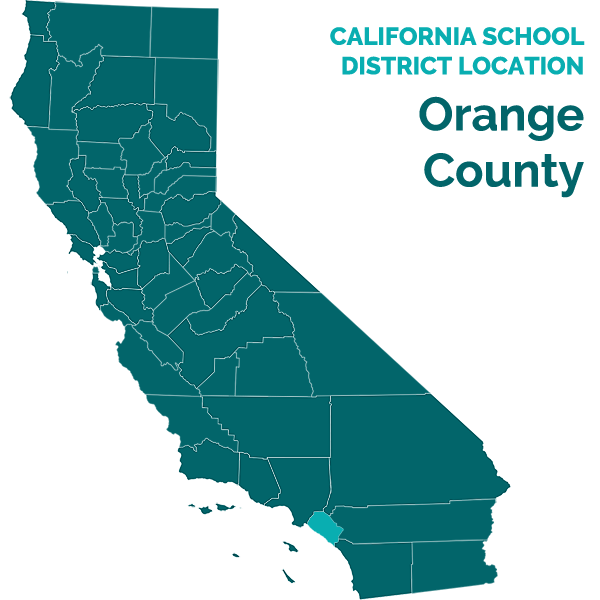 Resolution 1: The District requested an order from OAH finding that the District’s placement offer was specially designed to prevent Student’s regression over the summer months, consistent with state and federal law. Issue 2: Did Student’s placement offer for the 2007-2008 school year (through March 12, 2008) constitute a FAPE based on the information the IEP team had available regarding Student? Resolution 2: The District is seeking an order from OAH finding that the District’s offer constitutes a FAPE for the Student. 11. Student stipulated on the record to the proposed resolutions contained in District’s complaint and stipulated on the record that the District was the prevailing party in this action. 1. The District’s offer to Student for the 2007 ESY constitutes a FAPE. 2. The District’s offer to Student for the 2007-2008 school year (through March 12, 2008) constitutes a FAPE. The District is the prevailing party regarding all issues contained in this action.